the crop seems to rise to the top, and remain afloat. or getting edged out within the closing seconds of a heat. alive in the sudden death repercharge rounds. the world,will also be laying it on the line with top tier performances. 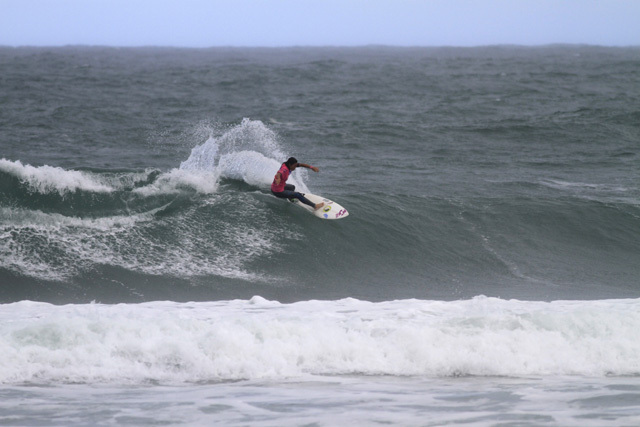 Congrats to our ‘ohana / team riders Ezekiel Lau and Keanu Asing representing Fitted and Hawai’i for the ISA Junior World Surfing Championships. 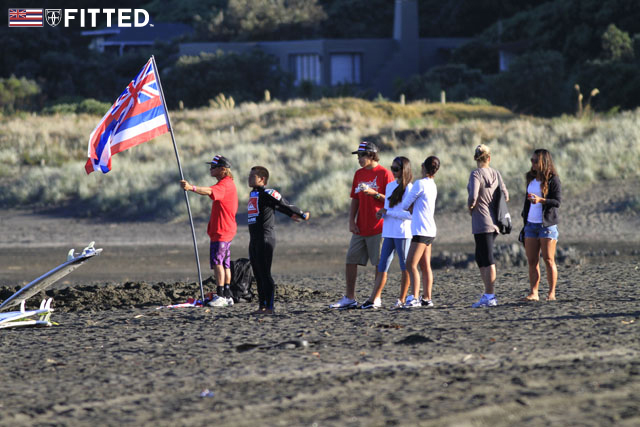 Keanu Asing eliminated USA team rider Conner Coffin who held the #1 spot at the Piha event yesterday, while Ezekiel Lau scored a 6.0, clutching first place during his 20 minutes of shine. For more info on the event, click here and here. 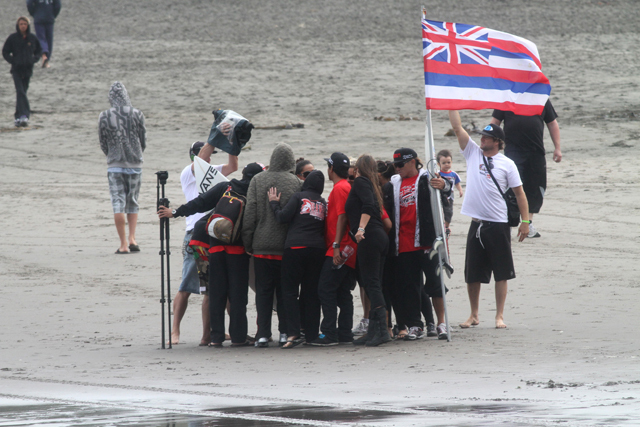 Big shoutout to Rainos Hayes and the entire Verizon Wireless Hawaii Junior World Team. This Saturday’s release is exactly what you’re reading: All Black Everything. 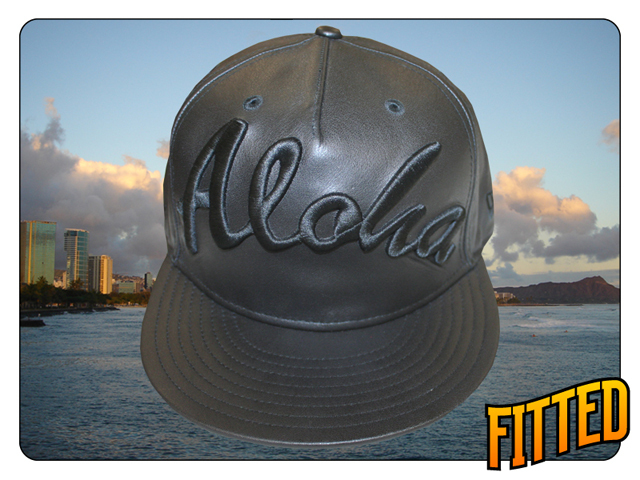 Black hoody, black Aloha snapback. Our newest hoody features the crest in tonal black on the front left chest area; backside features the infamous Aloha Served Daily logo, also in tonal black. 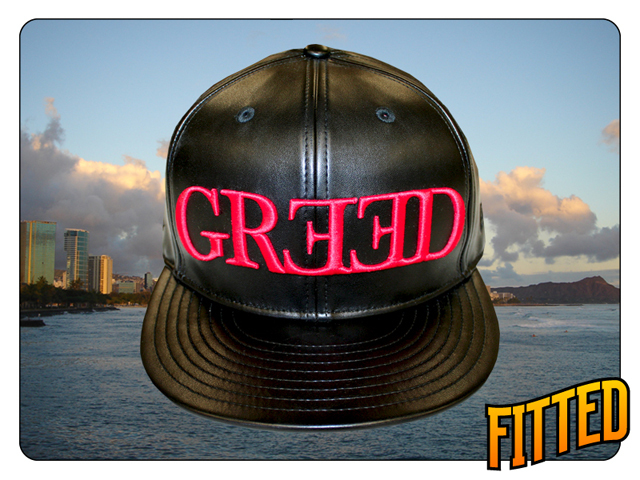 The snapback is blanketed in all 100% full grain black leather, with a tonal black Aloha logo in raised stitching on the front, with the usual crest hit on the back, and crown on the right side. Don’t forget, tonight, Rage For Haiti will be going down at Manifest with extraordinary pieces of merchandise going up for both silent and live auctions. 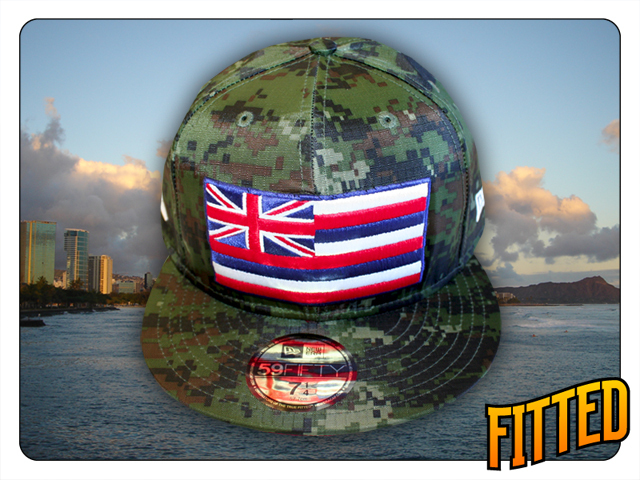 Your Fitted ohana will have the cap (pictured above) along with the original sample of the Ali’i / Kekoa Cazimero New Era. 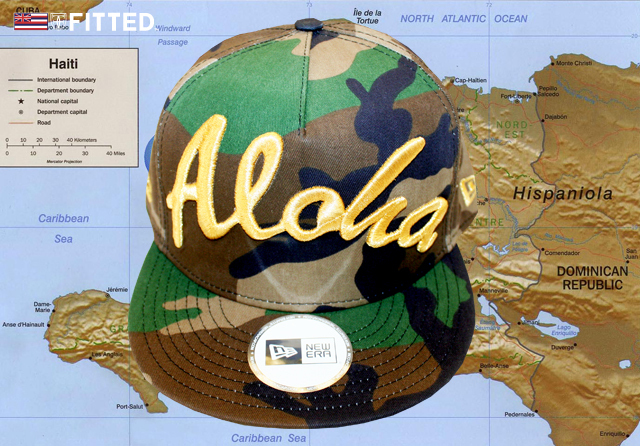 The Aloha snapback pictured above is also a sample. For your shot at a chance to win either (or both) of these sample hats, please head down to Manifest tonight and show your support. Let’s show Haiti and America what our “Aloha spirit” is really about. Back when I was in fashion school, this dude (Jay Sario) was the illest. He had crazy vision, nice with draping and pattern making, and super fast! I used to always tell him “Jay, you got so much talent, you’re gonna kill it wherever you go.” 10 years later, he’s one of the contestants on Project Runway, a fashion-forward reality show I used to follow because I love watching people create. The time frame they have to make these pieces, -damn- I don’t know how they pull it off! I wanted to take a quick second to give Jay his props. It ain’t easy coming from Hawai’i and making a name for yourself; it takes hard work, perseverance and a whole lot of luck -but- with a lot of talent you, can always straighten that curve. For more info on Jay Sario and Project Runway, please visit this link. Congratulation to Lanie and Bam for doing what they love and doing it well!! Salute! The project looks amazing!! 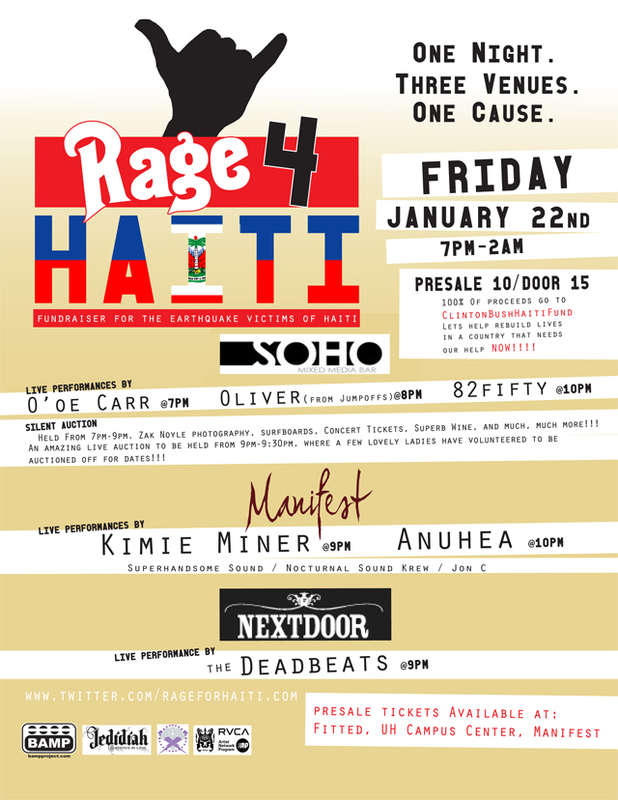 HONOLULU – RAGE FOR HAITI is a way to raise awareness of the catastrophic earthquake that has killed thousands of people in Haiti. We’re just a group of girls who wanted to get involved in some shape or form to raise money for the victims of Haiti. Figured everyone likes to go out, so why not for a good cause?! Rage for Haiti is the perfect solution to get the community involved. 100% of door proceeds and all monies raised through the silent and live auction will be donated to the Clinton Bush Haiti Fund (http://clintonbushhaitifund.org). At President Obama’s request, President Clinton and President Bush have partnered up to help with the relief efforts in Haiti. The Clinton Bush Haiti Fund will work to provide immediate relief and long-term support to earthquake survivor and channel the collective goodwill around the globe to help the people of Haiti rebuild their cities, their neighborhoods, and their families. A silent and live auction will be held at Soho from 7-9pm with great items such as Zak Noyle photography, surf boards, gift certificates from local businesses, concert tickets courtesy of BAMP productions, superb wine, and more!! An amazing live auction will be held from 9-9:30pm where a few lovely ladies have volunteered to be auctioned off for dates!!!! ONE night, THREE venues, GREAT music, AMAZING auction items, and the gift of GIVING to a great cause all for only $15 at the door or $10 presale (available at UH Campus Center, Manifest, and Fitted)!! 100% is going to ClintonBushHaitiFund. It’s a small gesture but a GREAT way to everyone involved and HELP rebuild lives in a country that desperately needs help right NOW!! RAGE FOR HAITI: SOHO!! MANIFEST!! NEXT DOOR!! …plus a variety of DJ’s!!!! Details: white trilock triangle on the left chest area with red Fitted lettering on both sleeves, white crown on the back.